When I bake brownies with my daughter we like to change up the flavor. Sometimes it is as simple as a thick layer of frosting or a topping of crushed candies. But sometimes we get a little more involved and stuff them with peppermint. Before you roll your eyes and worry that you can't handle something so involved, here is my quick trick. I stuff them with peppermint patties! Yup, that's it! It really is so easy to do, and the result is amazing. 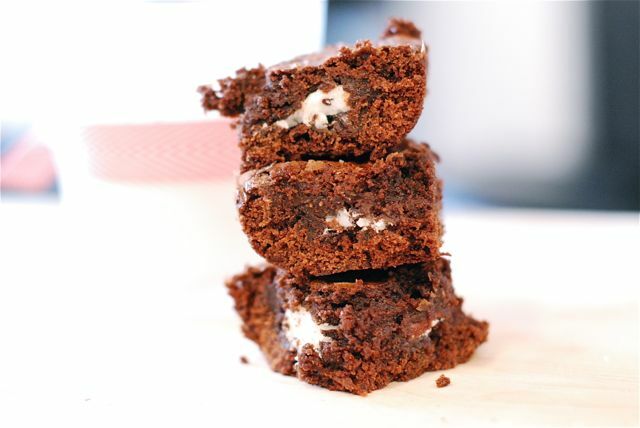 So when you make your next pan of brownies try this peppermint patty stuffed brownies twist and everyone will be wowed by how wonderful it tastes. Try this simple, yummy twist on the classic brownie. Step 1: Preheat the oven to 350 degrees F. Butter a 13x9 baking pan and set aside. Step 2: Prepare the brownie batter according to instructions. Step 3: Spread half of the batter into the bottom of the pan. Step 4: Unwrap the peppermint patties and place them on the batter so the sides are just barely touching. Step 5: Spread the rest of the batter over the patties and make sure every single patty is completely covered. Step 6: Bake the brownies according to instructions. Step 7: Allow them to cool for at least 2 hours. Then refrigerate for another two hours. This gives the mint filling time to cool back down. Cut and serve!